Have We Passed The Trough In Resource-Dependent Markets? JLL Research has released 4th Q '16 statistics on national office markets. The figures showed positive net absorption of 47,000 square metres over the quarter across CBD office markets and 326,200 square metres over 2016. The net absorption result for 2016 was 56.7% higher than the 20-year average of 208,100 square metres. 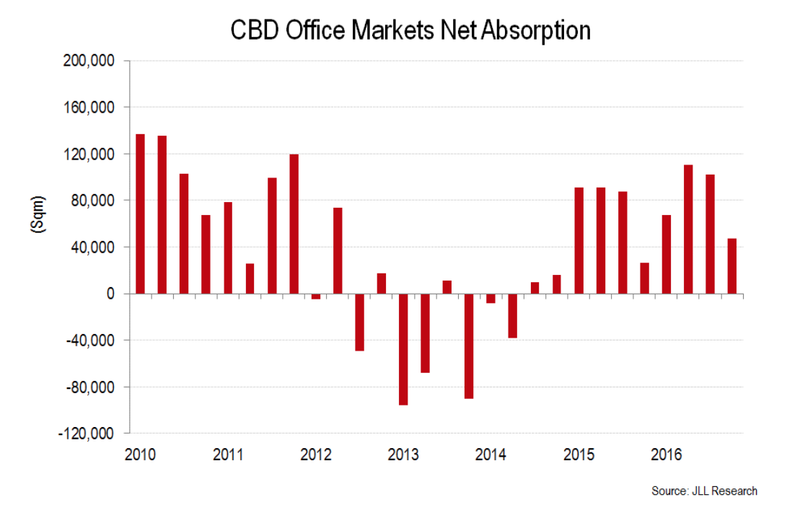 The national CBD office market vacancy rate was reported at 11.9% in 4Q16 – a 0.7 percentage point reduction over 2016 (from 12.6%). JLL Head of Research Andrew Ballantyne said the strong net absorption result showed that corporate Australia was very resilient to exogenous shocks impacting sentiment in 2016. Leasing market conditions remain strong in Sydney and Melbourne. The rebound in commodity prices over 2016 has also translated into positive sentiment in the resource-dependent markets of Brisbane and Perth. The Brisbane CBD recorded 5,400 square metres of positive net absorption in 4Q16 and 41,500 square metres over 2016. While vacancy moved slightly higher in Q4 (17.2%) as Flight Centre relocated to South Brisbane, the Brisbane CBD vacancy rate has trended lower since the cyclical peak in 1Q16 (18.2%). “We have recorded tangible signs of recovery in Brisbane and eight successive quarters of positive net absorption," Mr Ballantyne said. "The Brisbane office market is less reliant on the resource sector than Perth and multiple sectors have contributed to the improvement in leasing enquiry and activity. The Perth CBD recorded 9,500 square metres of net absorption in 4Q16 – the strongest quarterly net absorption result since 2Q12. As a result, vacancy tightened to 24.1% - a 0.6 percentage point reduction from 3Q16. “A rebound in the iron ore price from the low of $38 USD a tonne in February 2016 to $80 USD a tonne in early 2017 is positive for the bottom line of resource firms," Mr Ballantyne said. "The share price of large and mid-cap miners has rallied in response to stronger iron ore prices. 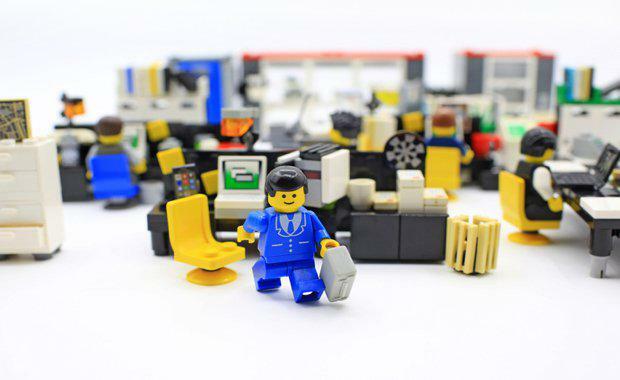 This is likely to improve sentiment in the Perth CBD office market. “There were several positive contributions to net absorption in the December quarter as a number of occupiers have centralised from the suburbs and leased space in the CBD taking advantage of attractive terms available. Stronger leasing activity and positive net absorption will be precursor for a stabilisation in rents. Nevertheless, prime gross effective rents in the Perth CBD fell by 3.6% in Q4 and by 12.1% over 2016. The Melbourne CBD recorded the strongest net absorption result across Australia at 188,700 square metres in 2016 and vacancy tightened to 8.1% in 4Q16. “We’ve been tracking the Melbourne CBD since 1970 and the net absorption result in 2016 was the second highest on record," Mr Ballantyne said. Strong leasing activity, tightening vacancy and limited new supply completing in 2017 have provided an environment for effective rental growth in the Melbourne CBD. Prime gross effective rents increased by 4.0% in 4Q16 and were up 10.5% over 2016. The Sydney CBD recorded net absorption of 81,600 square metres over 2016. Vacancy increased marginally in 4Q16 to 7.7% after International Towers Sydney (T1) reached practical completion. JLL NSW Head of Office Leasing Daniel Kernaghan said the performance of the Sydney CBD office market should be put in context – 2016 was largest year for completions since 1992 and it had no impact on the headline vacancy rate over the year. “Competition for space was generated by organic growth across a range of industry sectors and the displacement of tenants from Sydney Metro and residential conversion," Mr Kernaghan said. "The next wave of displacement will be generated by tenants vacating 50 Bridge Street. "Sydney will be in a unique cycle over 2017 and 2018. Stock withdrawals will be higher than the number of completions and the size of the market will contract. Diminishing options for contiguous space have pushed incentives to the lowest level since 2011 and competition for space will push them lower over 2017 and 2018. "Prime gross effective rents increased by 6.0% over the quarter and by 17.6% in 2016. Since the start of the rental upturn in 4Q13, the Sydney CBD has recorded 32.5% growth in prime gross effective rents. The recovery in the Canberra office market gathered momentum in 4Q16 with net absorption of 14,900 square metres and a reduction in vacancy to 11.7%. 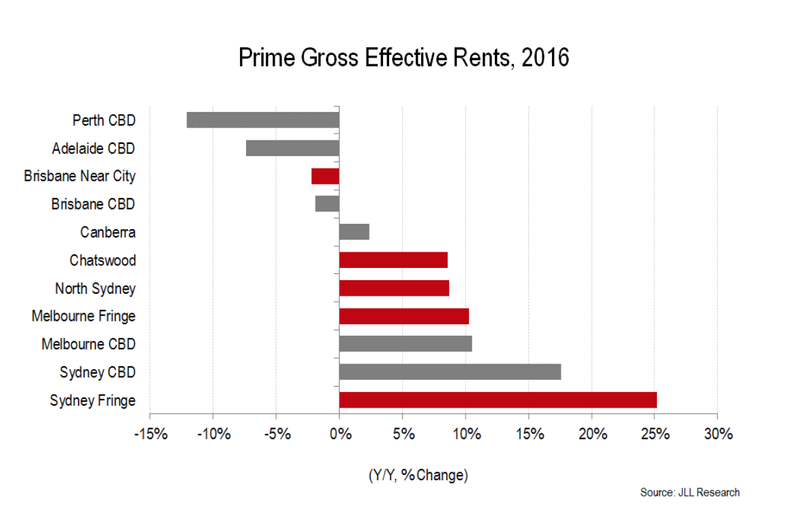 Prime gross effective rents increased by 2.4% in 2016. The Adelaide CBD recorded net absorption of 2,000 square metres over 2016 and a slight increase in vacancy to 16.9%. “Winston Churchill famously remarked that we shape our buildings and then our buildings shape us," Mr Ballantyne said. "A shortage of contiguous space has stimulated fresh pre-commitment activity in Melbourne and Sydney with completions expected to increase over the latter part of 2018. "The next generation of office accommodation provides an opportunity for organisations to create a new personality and provide an environment to achieve long-term business objectives."